This past week (from May 28-30), I was in New York City attending the annual Book Expo America Show at the Javits Center. I wanted to share a bit of the event with all of my blog followers. No words can really properly express what attending this event is like, but I will do my best. This day was dedicated to the BEA Blogger Conference. Just before the opening address began, news hit the internet regarding the passing of Maya Angelou. This was a sad topic of discussion throughout the day (and the week) with everyone sharing their favorite memories of this incredibly special woman. It was a sense of healing for me personally to be surrounded by so many other fans of writing and literature during such a sad occasion. Dr. Angelou will be missed, but what she has contributed to society will continue to flourish in her absence. She will always be in our hearts. The opening keynote address was provided by the great Maureen Johnson. If you have never read one of her young adult novels, stop reading this and get yourself to the bookstore. Maureen is a true delight and she had all the Bloggercon attendees in stitches. How she can be so funny at such an early hour is testament to her wonderful personality. Whether riffing on the Javits Center coffee (can it be called that?) or telling tales of her days in an MFA program, Maureen Johnson started our day off with a smile. The main piece of wisdom I took away from the speech was that “A review is its own piece of writing.” As such, she stated that it must have a clarity to the writing, with words arranged in a novel and exciting way. I promise I will continue to strive for that here at BOLO Books. The rest of the day was devoted to various panels on the art of book blogging. Some were more successful than others, but overall I think it was an improvement over previous years. Still not a perfect event (and thus, I am not sure I will attend next year), but I certainly got enough little tidbits of knowledge here and there to make the day worthwhile. At the end of the day, I decided to attend the Editor’s Adult Buzz Panel since it was being offered. This was one less thing I would have to squeeze into the next day. It was a great panel in which various editors spoke so eloquently about the title their publishing house was most excited about in the coming season. To say that it made me want to read all of the books would be a vast understatement. Only two of the titles, Station Eleven and My Sunshine Away will likely make their way here to BOLO Books (because of their genre appropriateness), but you can bet that I grabbed ARCs of all the titles to read. This was my first time attending the Buzz Panel and next year I plan to attend them all. Day two was spend entirely on the exhibits floor of the Javits Center. This convention center is massive and I must have walked the whole place five or six times trying to get to various booths and signings. Why does it seem like the events I want to attend are always at opposite ends of the Javits Center? Still, it was a pleasure to meet in-person so many of the editors, publicists, authors, bloggers and friends I chat with on a daily basis online. And yet, I was not able to get around to seeing everyone I would have liked to. For those that I missed this year, you are at the top of the list for next year’s BEA. I know that you understand what a crazy mad-house the BEA days are. 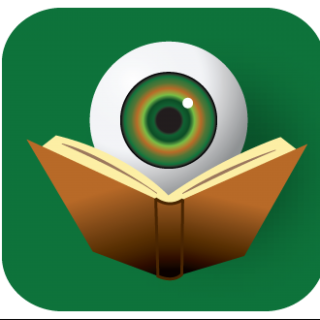 I would like to give a shout out to the Mystery Writers of America. Their booth has always been the most organized when it comes to in-booth signings (and they have lots of them with big name authors). They are to be commended for this and I just want them to know that the attendees appreciate their efforts to make it less stressful for us (and hopefully for them as well). One highlight of a day filled with them was getting to meet Terry Hayes, the author of I Am Pilgrim (the BOLO Books review of I Am Pilgrim is here). It was also great to reconnect with Hank Phillippi Ryan and Susan Elia McNeal (of the Jungle Red Writers blog). I finally obtained a signed book from Lyndsay Faye and I was able to thank Suzanne Brockmann for her books and for her advocacy for LGBT rights. It was a delight to meet her daughter as well and I can’t wait to read their new YA book. The main goal of day three was a personal one. 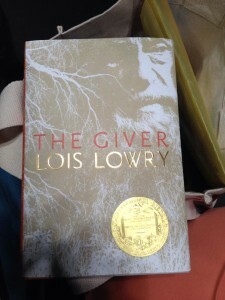 I wanted to meet Lois Lowry so that I could thank her for writing The Giver. When this book was released (in 1993), it was the spark that re-ignited my love of young adult literature. I was well beyond that age, but this book moved me in ways that I can still remember to this day. I did end up having to wait in line for 90 minutes, but it was well worth it. 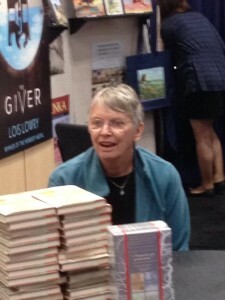 As a bonus, Lois Lowry was signing a hardcover edition of The Giver. The rest of the day was devoted to swinging by some of the booths that I was not able to fully explore the day before. After the previous day of standing in way to many lines, it was nice to have a more relaxed day to end BEA 2014. There you have it folks, just a small glimpse into what the Book Expo America experience is like. If you ever have a chance to attend, you definitely should. Words can not describe what it is like for a book-lover to be in a place like that with so many books and fans of books. It was great to see you at BEA, and to wait in line with you too. Hope it was a good experience for you and I look forward to becoming a regular blog reader! Thanks Ed. It was great to chat with you while waiting in line. I hope that you love the Azar Nafisi book and it looks like I may have her a guest on the blog later in the year, so keep your eye out. Until then, I hope you find some interesting books covered here at BOLO Books. Best Wishes!